The BloggerAid Cook Book is finally here. So what is so special about this book? Towards the beginning of this year that Giz of Equal Opportunity Kitchen , & Val of More Than Burnt Toast came up with the idea of a cook book. What makes it different from any other cook book ? You might ask. It is a cookbook where the recipes are contributed by food bloggers. The food bloggers from around the world connected for a wonderful cause and contributed their own recipes; the recipes were then compiled in this book. The members of BloggerAid-Changing the Face of Famine have published a cookbook where 100% of the proceeds target children and education through the World Food Program called School Meals. While a lot of us are fortunate enough to 3 elaborate meals a day and more, there are millions of kids out there who are starving and dying of hunger. “WFP’s school meal programmes work towards achieving several Millennium Development Goals (MDGs). The programmes directly address the goals of reducing hunger by half and achieving universal primary education by 2015, and of achieving gender parity in education by 2005. No child deserves to be deprived. No child deserves to hungry. No child deserves to be undernourished. It is a book created for a good cause; together we can make a big difference by each of us taking a small step towards it. 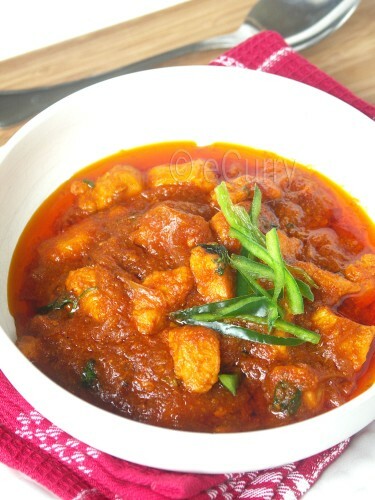 Balti Chicken is my humble contribution for this book. 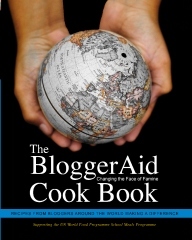 You can buy the BloggerAid Changing the Face of Famine Cook Book from the Create Space estore. The estore is a connection of Amazon. The book is not available on the Amazon.com site as the royalties for the School Meals Programme are much higher through the estore. Give a gift of love this holidays to your dear friends and family. Spread the word about this fabulous book. 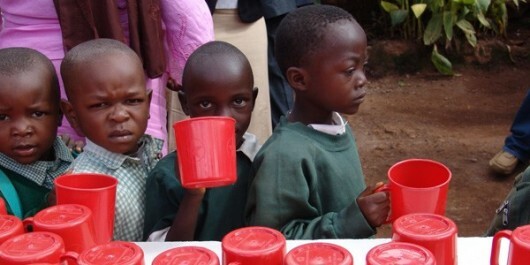 Again, 100% of the proceeds target children and education through the World Food Program called School Meals. Let us all get together to make a difference! How cool that you also have a recipe in the book! I will definitely be buying this!! Great post!!! and thanks for participating in this project. Your dish is on my list for the new year :).